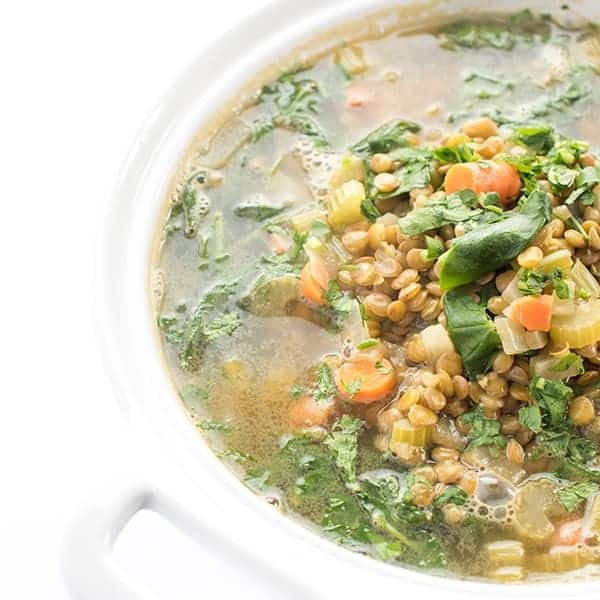 A traditional Lebanese soup, lentils and vegetables are cooked in a lemony broth scented with warm cinnamon and cumin. 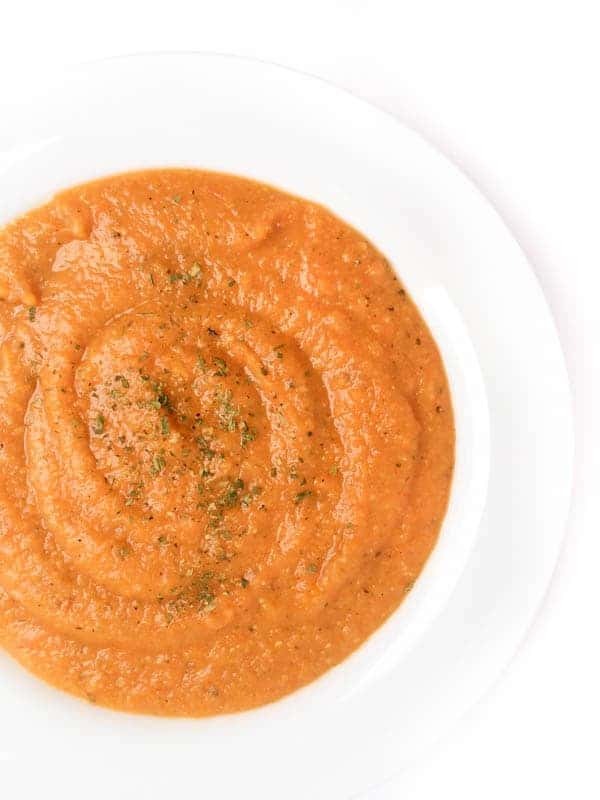 My six year old is a bit of a vegetarian these days and is a total soup fanatic. 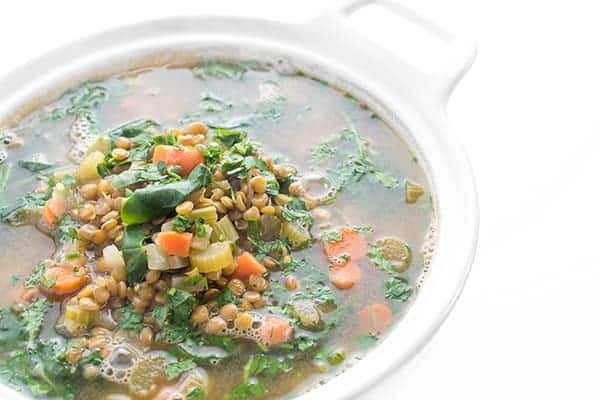 This high-protein, meatless Lebanese lentil soup recipe is one of his all time favorites these days and it makes me so happy! 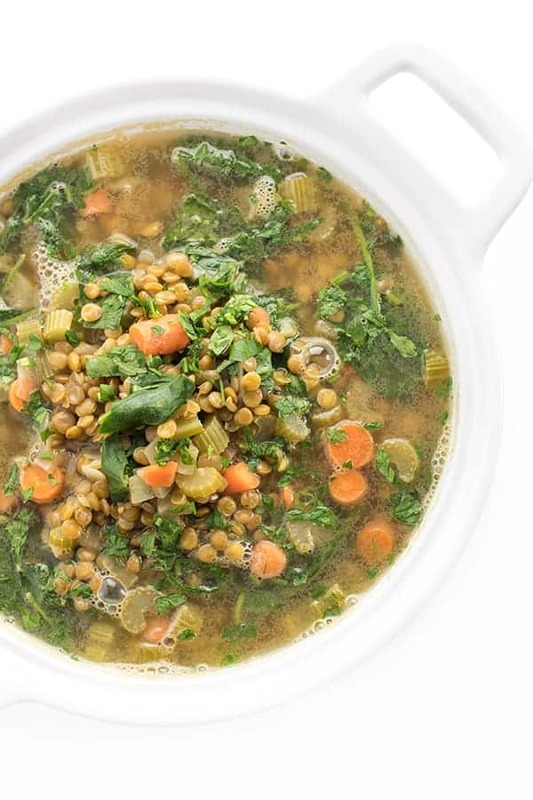 A recipe from my childhood, my mom made this traditional Syrian/Lentil lentil soup for us frequently growing up. 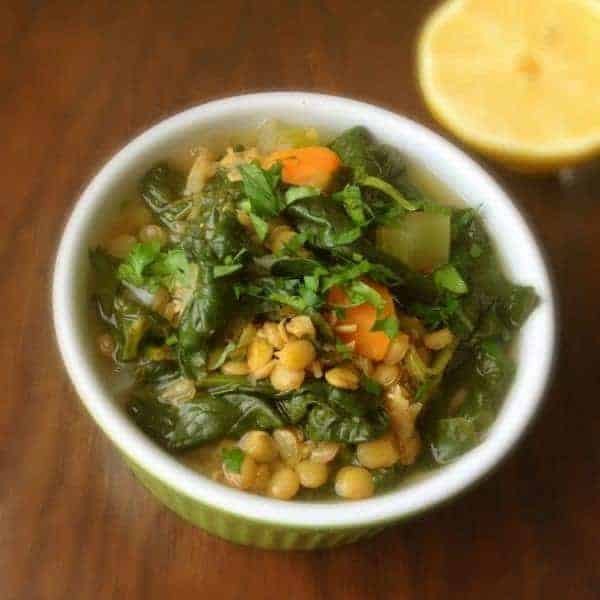 Packed with plenty of bright lemon juice, warm cinnamon and fragrant cumin, this is one of those soups that tastes even better the next day or the day after that! 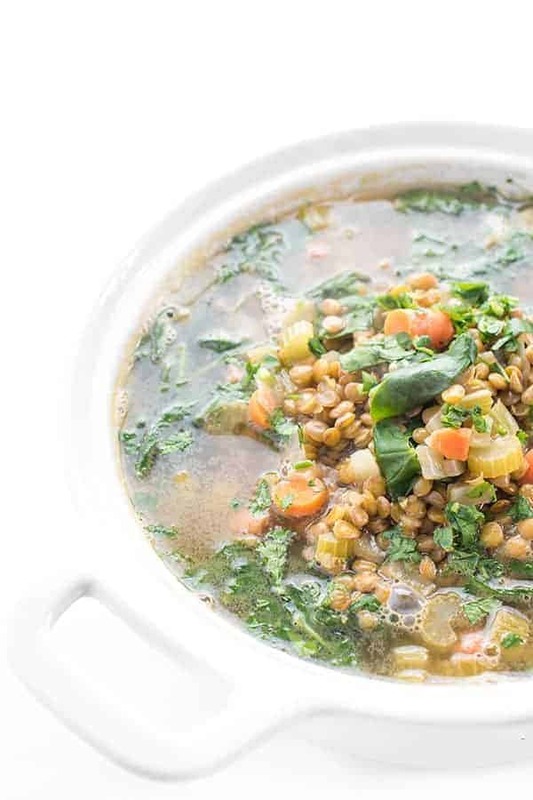 Ideal for freezing, gifting to a new mom or eating throughout the week for lunch, just one serving will leave your full and satisfied for hours (without that post-lunch crash.) We also love serving it for dinner with warm pita bread, hummus and a Syrian salad. Sprinkle with fresh parsley and a little extra lemon juice right before serving. Your spoon is waiting. Heat oil in a large soup pot over medium-high heat. Add in the onions, carrots and celery and cook until they become tender, about 6-7 minutes, stirring frequently. Season with salt and pepper to taste. Stir in the garlic, cumin and cinnamon. Heat until fragrant, about 30-60 seconds. Add lentils to the pan and heat 1-2 minutes to slightly toast. Pour in the chicken broth, water and lemon juice then bring pot to a boil. 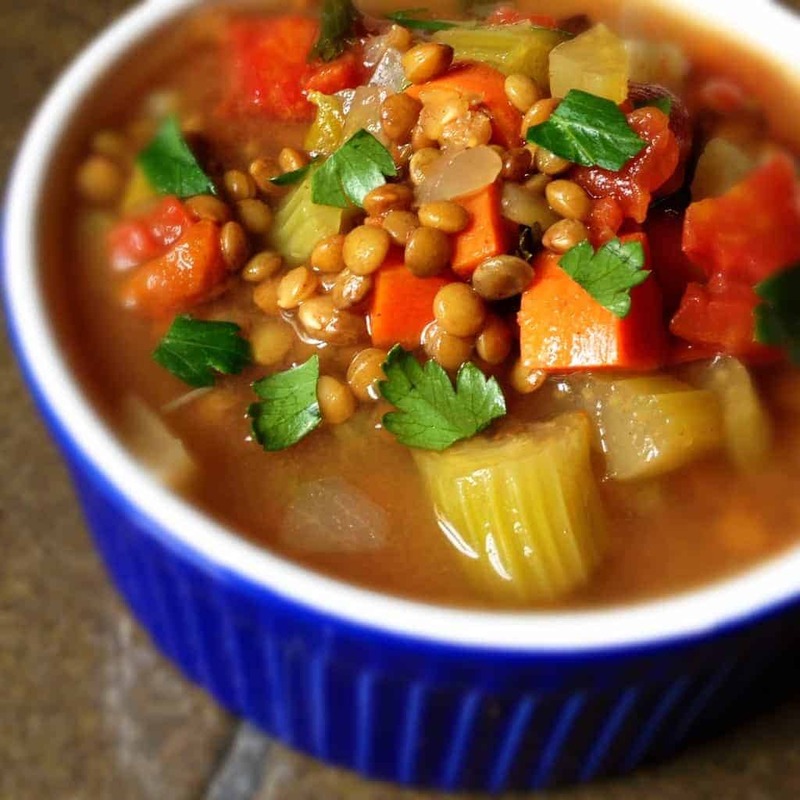 Reduce heat to low and simmer until lentils are tender, about 30-45 minutes. Right before serving, stir in the spinach and cook until bright green and wilted, about 2 minutes. Season with additional, salt, pepper and lemon juice to taste before serving warm. Take a look at my Pinterest board for more Lebanese recipes! Just made it, DELICIOUS ???? Two tablespoons of cinnamon and cumin was FAR too much. Ruined the saup – had to throw it out. Hi Amy – I am so sorry that should have said teaspoons. Please accept my heart felt apologies for the type-o. In the future, a great way to fix it would be to add more broth or water. Again, I am truly sorry for the human error! The recipe has been fixed. 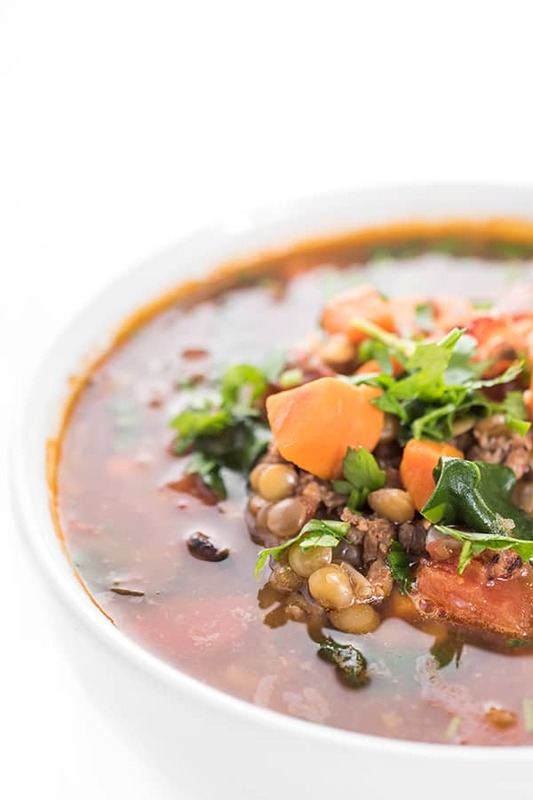 what a lovely recipe, a nice change for me and happy to see it still packs a healthy dose of protein, thank you! I hope you love that Jett!